As a native Harlemite and sophomore at NYU’s Tisch School of the Arts, Katherine saw the potential of Manhattan’s real estate above 110th Street. Where others saw a ghetto; Katherine saw a gold mine. With that vision over two decades ago she produced and directed a documentary, “The Gentrification of Harlem” and the rest is history. Today Harlem is coveted prime real estate. It is this same vision that allows Katherine to anticipate shifts and demands in the talent acquisition market and deliver forward-thinking solutions to clients. Katherine is President of Frink-Hamlett Legal Solutions and is a 1991 graduate of the New York University School of Law where she served as a Competitions Editor for the Moot Court Board, worked with the late Honorable A. Leon Higginbotham, Jr. as a Research and Teaching Assistant, and was one of two recipients of the esteemed Gary E. Moncreiffe Award for her written analysis of the Family Court Act. She received a BFA in Film/Television and a BS in Sociology from New York University and her high school diploma from Hunter College High School. Katherine is a former President of the New York University Law Alumni Association Board (2008-2010) and former Vice-Chairperson of the Committee of Women in the Law of the New York State Bar Association (2008-2010). She is also a member of the New York University Alumni Association. She has been a contributing book reviewer for The New York Law Journal, and featured author of The New York Law Journal Magazine’s “Diversity in Action” column. She has been a frequent speaker on inclusion and diversity issues within the legal industry. 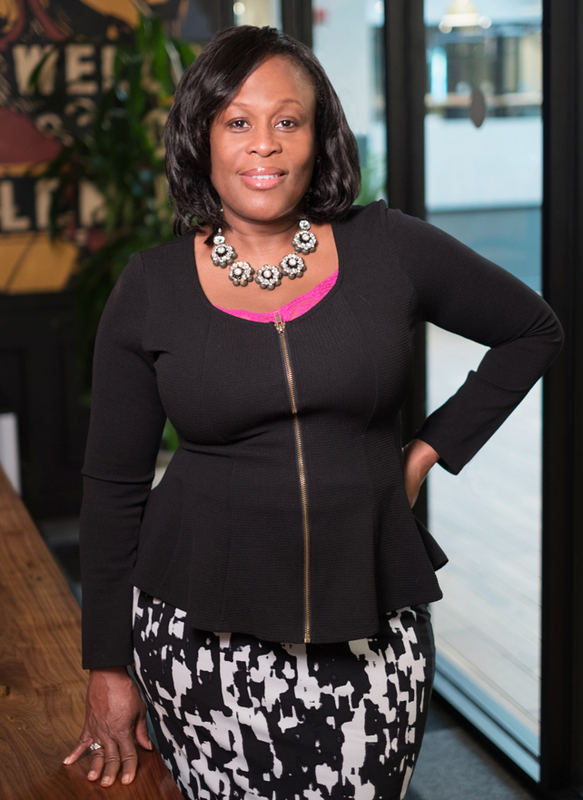 Katherine is a member of the Board of Directors of Legal Outreach, a rigorous pipeline program that prepares youth from underserved communities for academic excellence in junior high school, high school and college. She is also a trained volunteer of Team HOPE, a division of the National Center for Missing and Exploited Children. Upon graduation from law school, Katherine was an associate at the law firm of Kaye, Scholer, Fierman, Hays & Handler (now Arnold & Porter Kaye Scholer) where she represented debtors in complex chapter 11 reorganizations. In addition, while at Kaye Scholer, she was a research and writing assistant to the late Benjamin Weintraub and also served on the firm’s Recruiting Committee. In 1994, she joined USA Networks (now NBCUniversal Cable Entertainment Group) as an in-house attorney where she focused on the launch of the Sci-Fi Channel (now SyFy Channel). In 1996, she became of Counsel to the Wall Street law firm of Baden Kramer Huffman & Brodsky, P.C. (now merged with Fox, Horan & Camerini) where she worked on several high-profile federal court litigations and developed her own client base. Katherine is admitted to practice law in the States of New York and New Jersey.